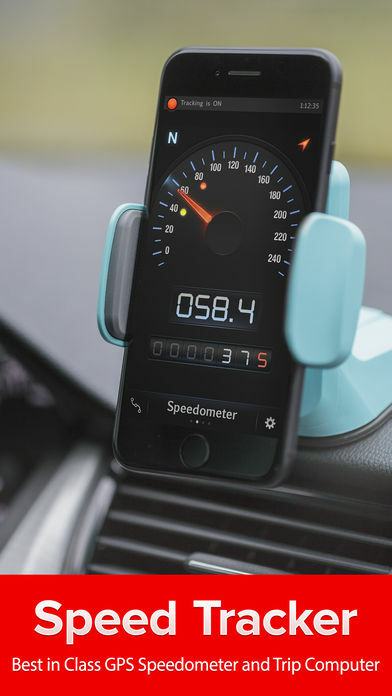 Speed Tracker is the most elegant and unique combination of GPS speedometer and Trip computer in just one application. Speed Tracker is YOUR answer to the eternal questions: What is my speed? What distance have I covered? How much time did I spend from work to home? How to share my trips with friends and relatives? 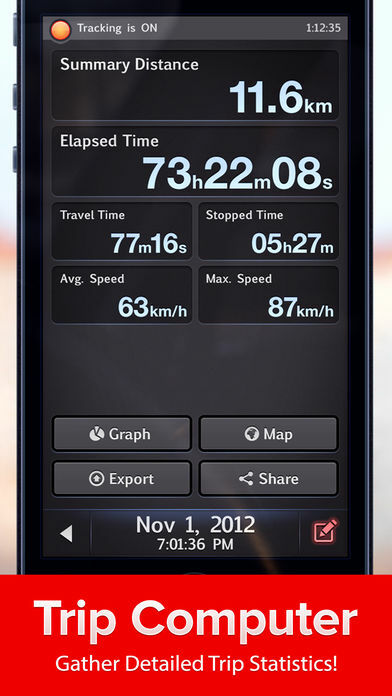 With lot of features built-in, Speed Tracker will help you to gather all the necessary trip statistics. Just start the application and it will automatically record your speed, time, distance, heading, elevation and many more. Buy it once and use on iPhone and iPad. Retina display graphics for iPhone4, iPhone 5 and new iPad. 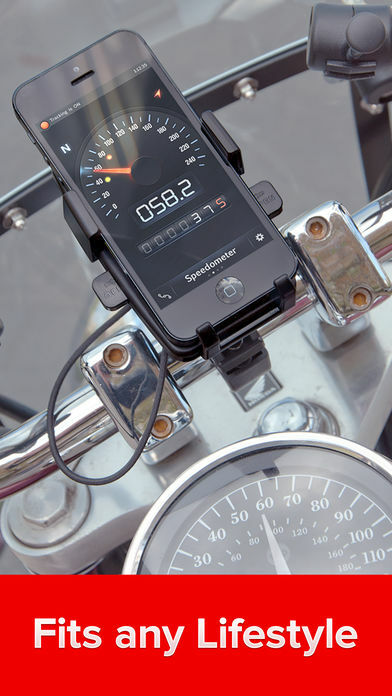 Head-up display – outstanding feature available ONLY in Speed Tracker application. Just enable HUD and put your iPhone or iPad under the windshield. 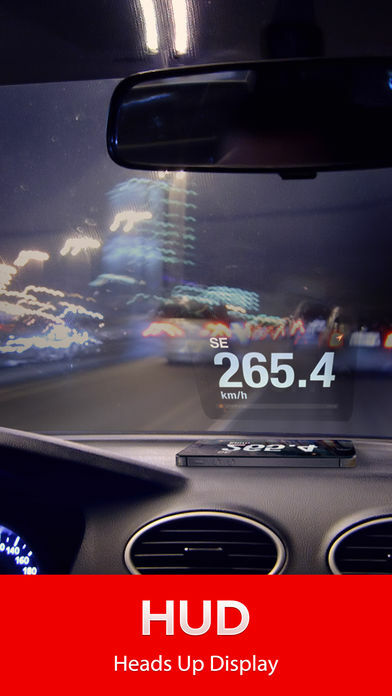 Specially designed HUD interface will display the most accurate speed right on the windshield. Built-in GPS tracker will help you not to get lost. You can always switch to navigation mode and check your current position on the map together with the track you’ve already traveled in Satellite or Hybrid view. You don’t remember the trip or how much time does it take to visit your friends or the distance to your office? 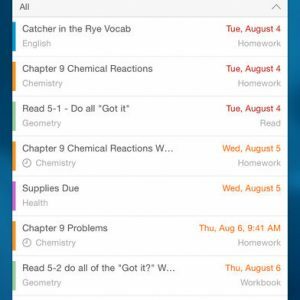 – Trip Log will help you! 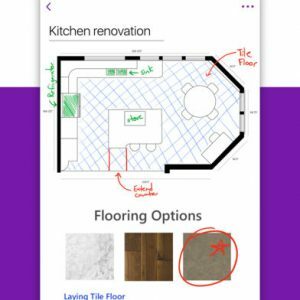 Trip Log records and saves the information within the application. You can easily have the access to ALL the trips with just one click. Inside the Trip Log you can check the trip on the map, see the speed, average speed, maximum speed, distance, total time and the detailed speed graph. Don’t want to get lost in all the trips you have? Just name them the way you like. Want to share your driving experience or just compare your every day trips? With Trip Computer it’s easy as A, B, C.
Export all the trips in available formats (CSV, KML, GPX) or even share with your friends on Facebook, Twitter or via email. Track important trip statistics in real time. Average and Maximum speed, distance covered, moving and stopped time. Designed exclusively for iPad big screen it shows all the important trip information at a glance on a single screen and supports both portrait and landscape orientation. 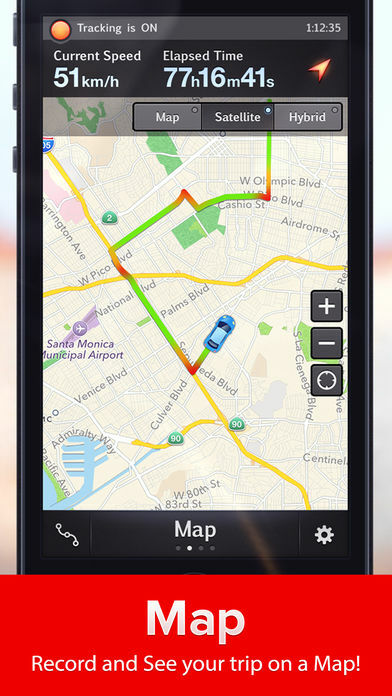 Full screen GPS Navigator Map mode is also available. Landscape mode allows you to mount your device horizontally on your car dashboard. If you prefer seeing things at wider angle then you find new landscape mode especially useful and practical. All the aggregated data from the very first trip will be saved in one single place. 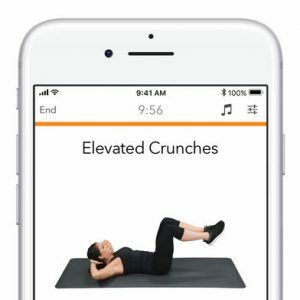 Automatically identify either you are moving or standing and calculate your average speed basing on that. Generate trip report showing travel and stoppage time separately. Not compatible with WiFi only iPad or iPod touch. GPS usage will dramatically reduce device battery life. GPS is not always accurate due to device hardware sensor limitations. Data connection is required to see map.